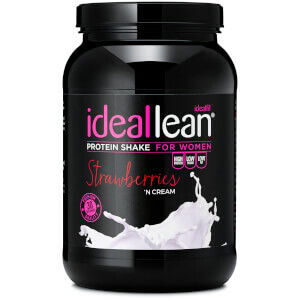 Why use IdealFit Vegan Protein Powder for Women? Our plant-based, allergen-free, vegan protein shake is a great way to get in protein on a vegan diet and unlike other vegan shakes - it tastes amazing! Our vegan protein provides a complete amino acid profile with 21g of rice, pea and hemp protein. Not only that, but we make real nutrition for real women and that's why our female nutritionists have formulated IdealFit vegan-friendly proteins with B vitamins such as folic acid, biotin, vitamin B6, 12 and pantothenic acid which can help reduce the onsite of tiredness and fatigue and support your general wellbeing. Not only that, but added calcium and vitamin D3 contributes to healthy bones and teeth which is important for females of all ages - especially those training intensly. On top of a great protein content and amino acid profile we've also included the amino acid L-glutamine to give you the ultimate all in one shake. Who can benefit from a vegan protein supplement? Forget vegan shakes that taste like the earth - we're not kidding when we say our chocolate and strawberry vegan protein is the best ypou'll ever taste. Our Vegan-friendly protein is great for anyone - especially those following a plant based diet or who are vegan and unlike some milk proteins, our blend contains no cholesterol and so can be easier to digest - perfect if you are lactose intolerant. Along with regular exercise or resistance training, a healthy protein intake can contribute to improved muscle maintenance - perfect for your post workout shake! A complete source of vegan protein including pea, rice & hemp. Really impressed with this vegan protein. Great taste and not too sweet either which is hard to come by. Would definitely recommend! If you love strawberry you’ll definitely love this! By far the best Vegan protein I’ve tried.